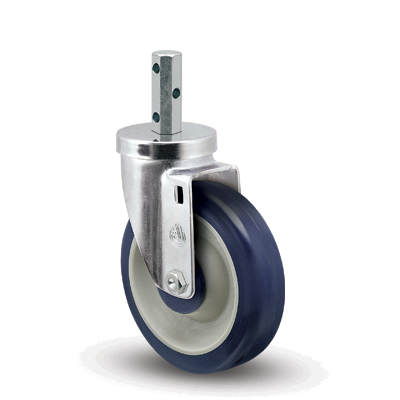 32 Series Casters feature Octagon Ring Stems, and support capacities up to 325 pounds each. 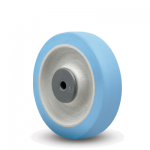 Conductive wheels are designed to dissipate static build-up in rolling carts in the computer, electronics, and medical industries. Jarvis conductive wheels feature a cushion ride combined with tested durability in a wide variety of operating conditions. 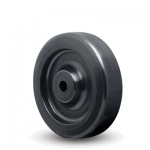 These rubber wheels feature metal decorative side plates that make most any cart or mobile equipment more attractive. 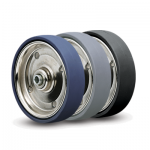 Advantage Heat wheels take all of the aspects of regular Advantage wheels, while adding a unique, soft tread [80 (±5) Shore A scale] that handles the heat of autoclave applications. These wheels roll quietly and offer a smoother ride compared to traditional high-temperature wheels. Recommended for use in hospitals, laboratories, and cleanrooms, the corrosion-resistant thermoplastic tread are ideal for wash-down and steam-clean applications. 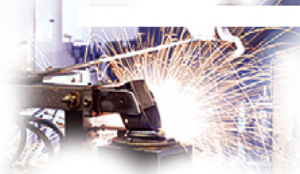 Advantage Heat wheels can withstand temperatures up to 300º under controlled circumstances. The Advantage Health wheel is an anti-microbial wheel designed to suppress the growth of microbes, including bacteria, mold, and fungi. The anti-microbial additive is approved for use in the medical and food service industries, with the additive being certified by the FDA, EPA, and NSF. 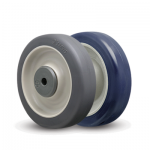 These wheels are recommended for use in hospitals, laboratories, food service industry, and cleanrooms. Our Welded Disc wheels feature tread surface material (either rubber or polyurethane) molded to fit permanently between two bright nickel-plated steel plates, which are welded together. Rubber versions offer an attractive alternative for food service equipment, medical products, point-of-purchase displays, and other institutional applications. Polyurethane versions provide greater load capacity and are able to better withstand impacts while offering maximum floor protection. 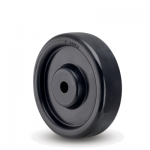 Polyurethane treads are known for long service life and durability in a wide range of applications from institutional equipment to retail applications. 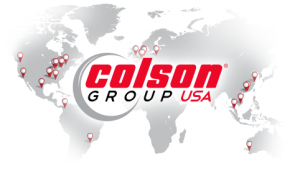 Our exclusive blended resin compound is designed to withstand the extreme high-temperatures required by certain industries and applications. 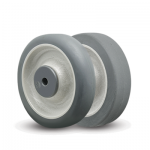 These easy-rolling wheels will not absorb moisture, and offer high load ratings and long service life. In addition, they are resistant to most solvents, salts, alkalines, cooking oils, cleaning chemicals, steam cleaning, and water immersion. They are ideally suited for high temperature applications such as bakeries, food process plants, and industrial parts heating operations, able to withstand temperatures between -20ºF and +475ºF continuously, and up to +575ºF intermittently. 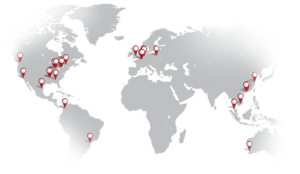 Sealed Precision Ball Bearings are available for most wheels – please contact us for more information. Thread Guards are designed to protect wheel bearings from thread and other floor debris that can bind wheels thereby creating flat spots. They provide longer caster life and less maintenance of wheels. They are available as an option on many Jarvis models. Please contact us for more information. PosiLoc® Brake available. PosiLoc is a simple, effective toe-activated wheel brake that provides excellent braking action on a variety of wheel types and tread surfaces. This brake locks the wheel only, and features stainless steel construction. The thermoplastic black brake pedal offers easy engagement and disengagement. Swivel Lock available. If added, a one-position swivel lock is factory installed. 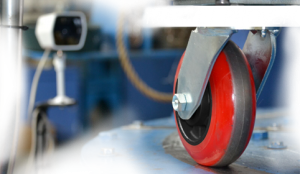 The hand operated plunger locks the caster swivel in the trailing position at 180º, while allowing the wheel to rotate freely. The spring-loaded plunger mechanism is welded to the top plate and features a clip that automatically locks in the top of fork base when activated. 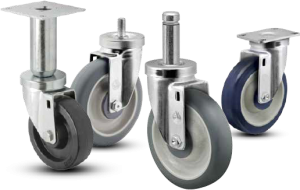 Standard 32 Series casters feature an octagon stem, 3/4″ octagon x 2″ long with three cross-drilled mounting holes of 1/4″ diameter each.